I've got hooked on ALDUB tandem of Juan For All, All For Juan segment of a popular noontime show in the Philippines called Eat Bulaga even I am a long way away from home. Thanks to the internet, it gives me the updates and all the latest happenings on the much loved couple in Philippine show business. 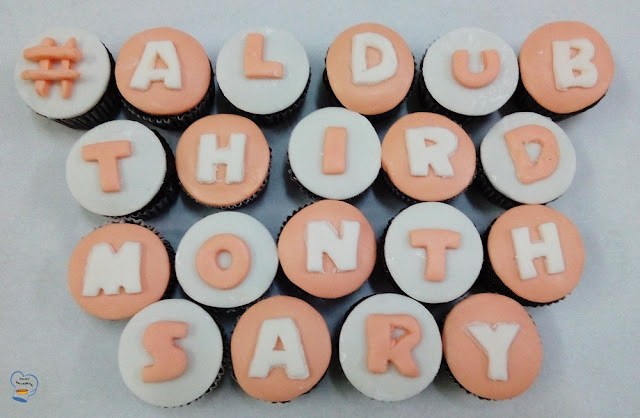 Today I join the celebration as the whole ALDUB nation marks the third month of the couples first meeting. And what better way to celebrate the occasion than with these soft, moist and fluffy chocolate cupcakes? 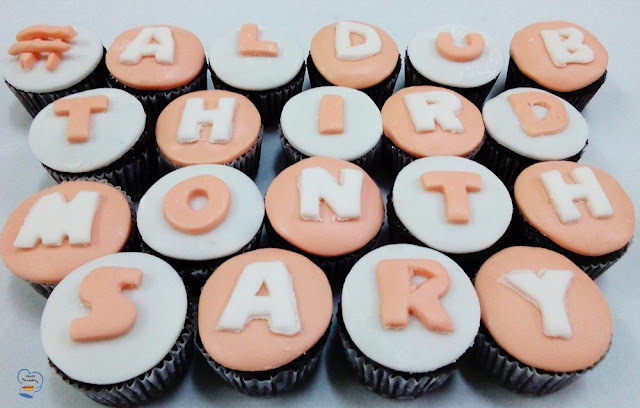 Cupcakes pa more! I brushed the top with melted apricot glaze before covering it with fondant.